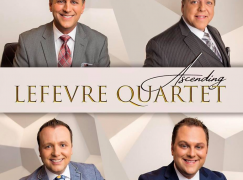 Last year, Triumphant Quartet saw their first (and to date, ONLY) personnel change in their 13 years as a group when Jeff Stice departed as pianist/arranger/producer. Rather than move to find an immediate replacement, Triumphant modified their presentation slightly, re-branding as simply four vocalists. 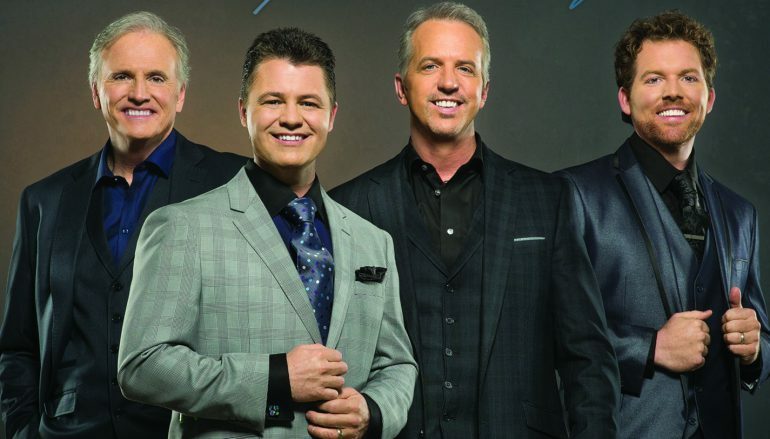 They also announced their new recording relationship with StowTown Records, the second quartet on the roster after founder Ernie Haase’s Signature Sound. Living In Harmony is their first release since these two major events. Is Triumphant’s StowTown debut a “Must Buy” album? David Bruce Murray, Phil Boles and Kyle Boreing offer their thoughts below. Click anywhere in the box below to sample the title cut. The opening title track sets the stage perfectly for what is to come. It’s all about celebrating our lives as Christians and big, bold harmony. “Black And White” was the title track for a 1984 Singing Americans record. Triumphant didn’t copy the original arrangement, but instead made it their own. They could have tacked on an encore, but opted to keep it short at just two minutes and eleven seconds. “Living In The Promised Land” has an infectious, driving rhythm. It just became my favorite Triumphant song. The fact that Triumphant have never had a vocal change in the course of their existence pays dividends on this album. The blend and harmonies are spot on, the voices all fill the notes efficiently, giving that “Triumphant” sound. “Amazing God” may just be my favourite David Sutton feature he has ever recorded. His tone fits this lyric perfectly and the harmonies below him bring added life to the words. Revisit of “When He Reached Down His Hand”, I always believed Gold City had this one nailed, but I appreciated how Triumphant redid the song without it being a strictly “bass/tenor” feature. Letting Clayton take the early leads worked beautifully. Compared to their previous album, Awesome God, this project moves back to a more SG style in both song selection and arrangements (in fact, I’d call it more “country” than anything). That’s not a slam against Awesome God – if anything, it’s a testament to how versatile (and flexible) Triumphant really is. The opening track, co-written by Scotty Inman, is a nice, mellow intro that showcases a very smooth blend and mix. Speaking of mix, Haun’s production work brings a bit of a smoother vocal mix overall compared to their previous efforts. The vocals just seem to blend a bit tighter on this album. 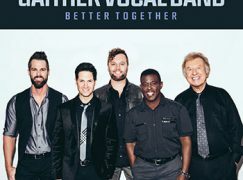 There are a few covers on this album, including a throwback to Clayton Inman’s Singing Americans days with “Black and White” and the Phillips, Craig and Dean song, “A Friend Called Grace.” The former is pretty straight-forward, while the latter gets a bit of a countrified update with some nice banjer pickin’. Not much I disliked about this one. Production, song selection, harmonies, everything is pretty much there. I’m still listening to the entire album on repeat in the car! The only dislike I have is the closing track, “Has There Ever Been.” I love the setup and the idea behind the song, but some of the lyrics feel a bit clunky at times (and yes, I know I’m being picky…). 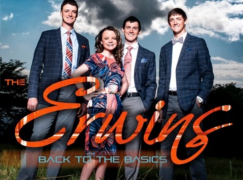 YES – It’s not even May yet, but it’s safe to say Living In Harmony is one of the best Southern Gospel recordings you’re going to have the opportunity to purchase in 2015. Living In Harmony earns a rare 5 stars (on a scale of 1-5). YES – easily the best project so far in 2015. I’ve always liked Triumphant and thought they had something special when it came to the blend. The move to StowTown has given this group another lift. 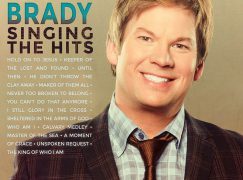 This album will be very difficult to better! YES – I was a bit apprehensive when I heard that Triumphant would be the second quartet on the same label as Signature Sound, but you can rest assured that their trademark style and sound is well intact, and they get the attention they deserve as evidenced by this very strong StowTown debut. I’ve highly enjoyed this record. I agree about it being a must-buy!